Generac's Protector Series liquid cooled generator line offers peace of mind for businesses and homeowners with an automotive style engine and 5 year limited warranty. 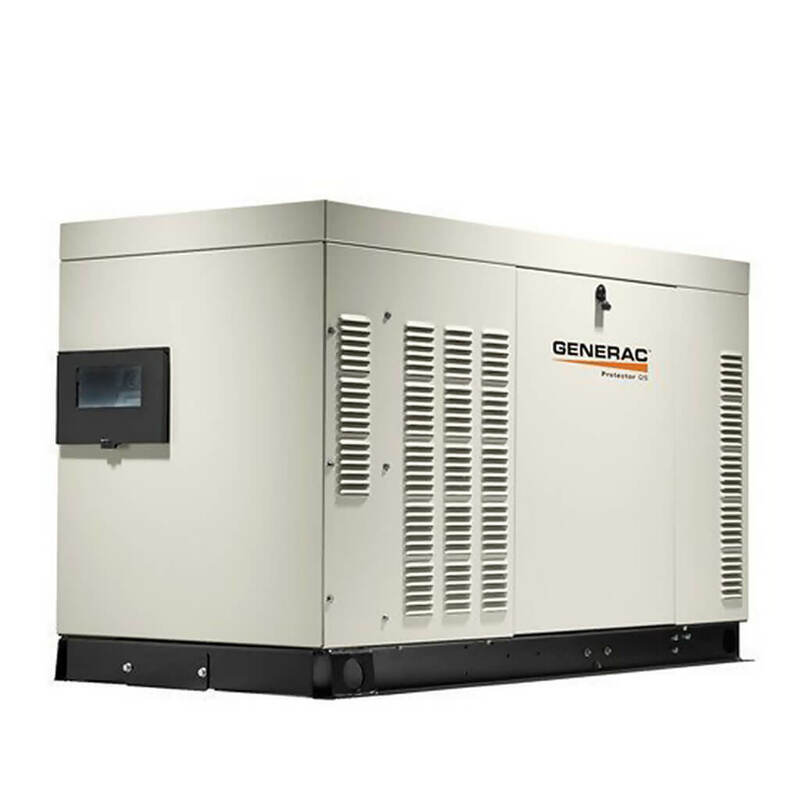 This generator protects your facility with True Power Technology, providing clean power for all of your sensitive electronic needs and an Isochronous Electronic Governor. The Sound Attenuated Generator Enclosure is UL 2200 listed and available in both Steel and Aluminum options, for select generator sizes. The Two Line LCD Multilingual Digital Evolution Controller provides an easy indication of the generator status and breaker position with an external viewing window. The Evolution Controller offers English, Spanish, French and Portuguese languages. Protect your investment and peace of mine with Generac's Protector Series Liquid Cooled Standby Generator.